Surprise! This year’s Forza Horizon game is set in the exotic location of…Great Britain. Forza is now an annual racing game series alternating between the track-focused Forza Motorsport and open world series. 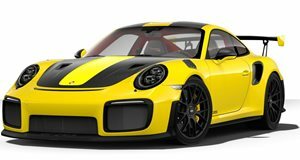 Last year saw the release of featuring the Porsche 911 GT2 RS, which made its world debut during the game’s announcement. That means a game is due for release this year, so it came as no surprise last night when developer Playground Games took to the stage at E3 and announced 4. Coming to Xbox One and PC on October 2, the biggest surprise was the game’s location. Following months of speculation, the reveal trailer confirmed 4 will be set in the “beautiful, historic Britain.” That may not sound like a very exotic location compared to previous games, which have so far been set in Colorado, Southern France, and Australia, but the UK has some breathtaking driving roads, not to mention an eclectic car culture. 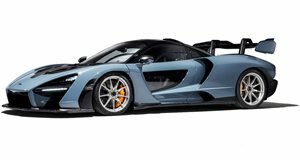 Befitting the location, the trailer showcased a plethora of British cars tearing up the picturesque English countryside including the mighty McLaren Senna, which will grace the game’s cover alongside a 1997 Land Rover Defender 90. A Jaguar F-Type, Aston Martin Vulcan, and MG B also make an appearance. In total, 450 cars from 100 different manufacturers will be included. Being set in the UK, there will of course be rain weather effects. 4 will even have dynamically changing seasons that affect the terrain – lakes will freeze over in the winter for example, creating new routes in races.